A haircut is a significant detail on every woman, especially when it comes to styling at a wedding. A good hairdo is more than an ornament, it’s a sign of style and attitude. Choosing a haircut should be done carefully and you should consider various options. The real hairstyle is the one that goes best with your personality. Whether your hair is long or short, treated or not, you need to prepare it for a specific hairstyle for a wedding. It is especially important for the hair to be strong enough to withstand the chosen hairstyle all day. If hair is thin hairdressers generally suggest to shorten it as much as you can. In addition, quality packages or special hair treatments, such as botox, are essential, which will give it strength and elasticity. Shortening the ends is assumed. 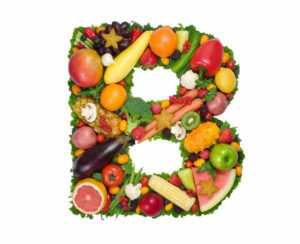 The quality of the hair is particularly beneficial for a diet rich in vitamins B group, so pay attention to this detail. Most hairdressers suggest that you make a test haircut to make sure of your standing and whether your hairstyle really agrees with your wedding dress. What is particularly good here is that you can change the details of the hairstyle and adapt it to your wishes, and it’s bad that it costs you extra. If you are absolutely sure of your choice of hairstyle because you already had experience with her, you can skip this part. But you need to be absolutely sure because your hairstyle needs to survive the whole day and look good from beginning to the end of your wedding day. You don’t want to see photographs in wich your hair lost its curls or that your bun is now just a ponytail. On the market, you can find a huge number of different hairdressers that suit different styles. You can also find them in wedding dress shops, but also in boutiques and jewelry stores. 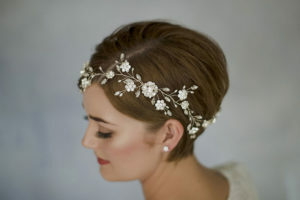 The most common choice of hairdressers is long artificial inserts of natural hair, veil, hat, large flowers and various snippets with zircons, clips, and hairpins. The choice of details should depend on the style of the wedding dress, the shape of the face and the makeup you will wear. It may be the best to discuss with the hairdresser which type of hairdressers will be the best for your desired hairstyle.